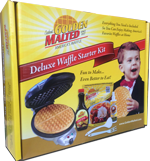  Carbon's Golden Malted Gourmet Waffle Baker - there's no better way to make America's Favorite Waffles!  2 lb. 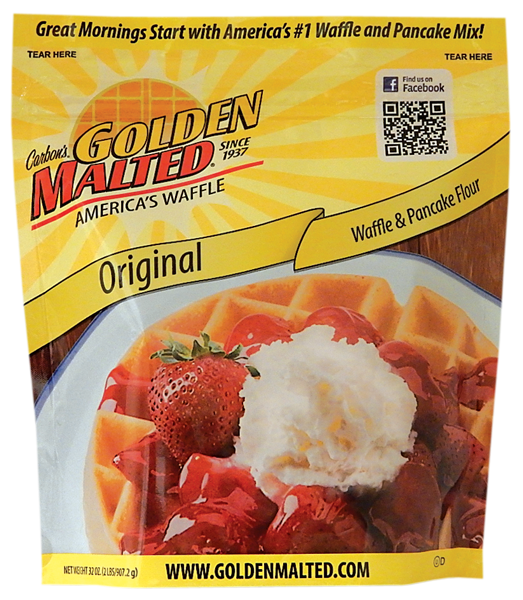 pouch of our world-famous Original Waffle and Pancake Mix. This is the same mix used in the best hotels and restaurants around the world. 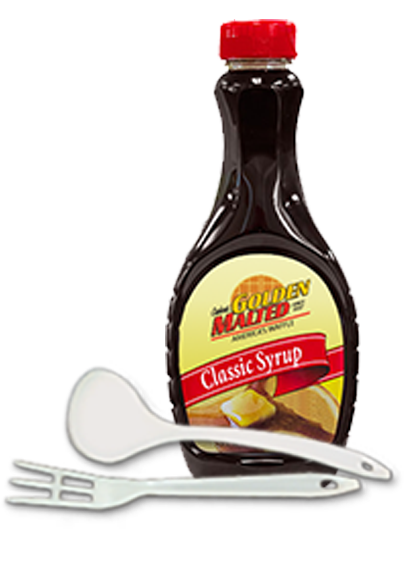  12 ounce bottle of our thick, rich syrup. 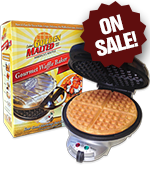  Bottle of our specially formulated grid conditioner to keep your waffle baker looking and working like new. 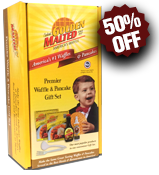  High-quality batter ladle and waffle fork specifically designed not to damage cooking surfaces. 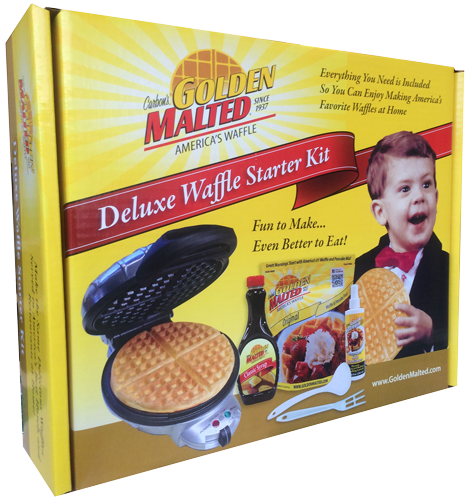 Get your Deluxe Starter Kit today and enjoy the best waffles in the convenience of your own home! I have been looking for this product forever! Got hooked many years ago while staying at the Hampton Inn each year for my family reunion. I have about 5 or 6 "other" brands and nothing worked like this. They would stick !!! This one works as promised, and not at a bad price point. I would have spent $250 for this thing. Love it !! I am not a waffle expert but I like the way they come out. 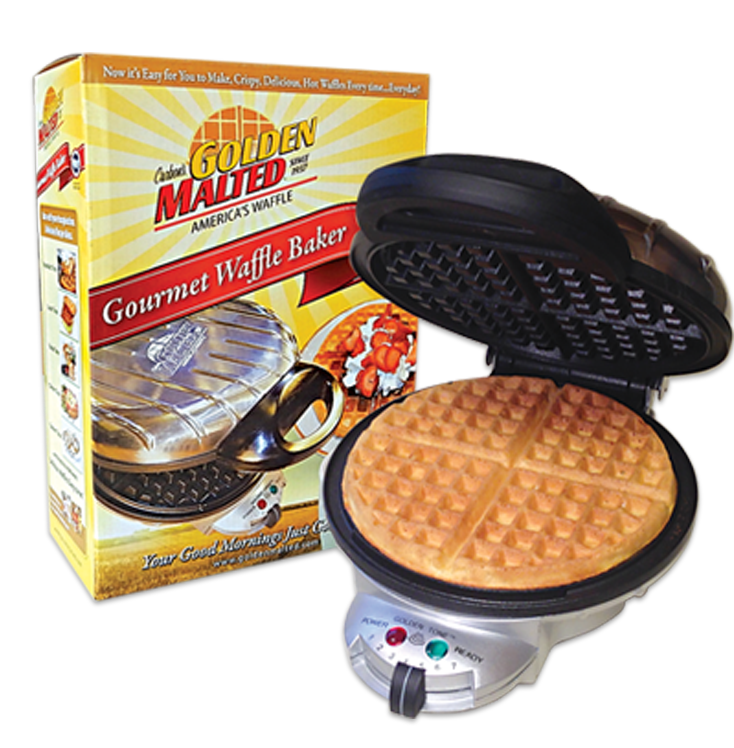 Its a solid waffle Iron. 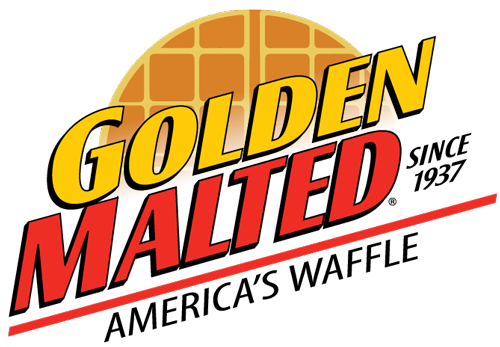 My waffles come out nice and crispy on the high setting. The Iron itself is super solid build, it cooks evenly on both sides.